Veganism has been growing in popularity over the years. Today, there are approximately 1 million people in the U.S. that self-identify as being vegan, and the appeal and potential for vegan products is expanding to include a much larger base of consumers seeking healthier, cleaner foods. In celebration of World Vegan Day, here are 5 science-based health benefits of a vegan diet. Vegans have lower levels of blood pressure and LDL cholesterol, along with healthy levels of blood lipids and a good body mass index (BMI), all of which lead to significantly better cardiovascular health. Animal food sources are likely to account for 11 of the top 14 sources of cholesterol-raising fats in the U.S., including cheese, diary, chicken, sausage/franks/bacon/ribs, reduced fat milk, burgers, beef, whole milk, eggs and butter . Numerous studies have found that high consumption of well-done, fried or barbecued meats is associated with increased risks of colorectal , pancreatic [3-4], and prostate [5-6] cancer. In 2015, the World Health Organization concluded that eating processed meat like hot dogs, ham and bacon raises the risk of colon cancer and that consuming other red meats such as beef and pork probably raises the risk as well . As the vegan diet is absent of meat products, there is zero cancer risk due to meat consumption. 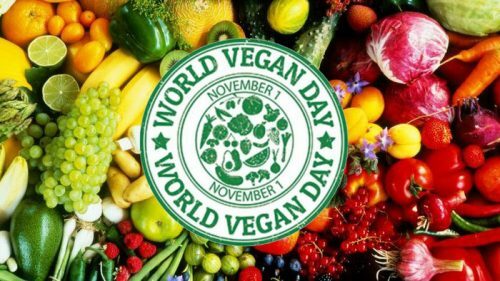 The vegan diet consists of high amounts of legumes, fruits and vegetables, fiber and vitamin C, all of which provide protective benefits against a variety of cancers. A 2016 study found that substituting 3% of calories from animal protein with plant protein was associated with a lower risk of death from all causes: 34% for replacing processed red meat, 12% for replacing unprocessed red meat and 19% for replacing eggs . After adjusting for major lifestyle and dietary risk factors, every 10% increment of animal protein from total calories was associated with a 2% higher risk of death from all causes and an 8% increased risk of death from cardiovascular disease death. The take-home message? Eating more protein from plant sources is likely to lower your risk of death. A vegan diet can protect against an individual’s genetic likelihood of developing some types of chronic disease, including heart disease and type 2 diabetes. Bioactive compounds in plant-based foods interact with cells, enzymes, hormones and DNA to affect gene expression and produce cellular changes that helps to greatly reduce chronic disease . Chronic inflammation is often found to be the cause of chronic diseases and antioxidants in plant-based foods can combat free radicals that damage cells and cause chronic inflammation. Laboratory experiments with invertebrate species have demonstrated that the evolutionarily conserved insulin and insulin-like growth factor (IGF-1) signaling pathway plays a major role in the control of longevity. A reduction in IGF-1 activity is a common characteristic of mice or rats whose lifespan has been increased by a range of genetic or dietary measures, including calorie restriction. A vegan diet together with exercise training may help to reduce IGF-1 activity, slow aging, increase lifespan and reduce the risk of age-related ailments [10-11]. Top Food Sources of Cholesterol Raising Fata Among U.S. Population, 2005-2006 National Health and Nutrition Examination Survey (NHANES), Table 3. Epidemiology and Genomics Research Program, National Institutes of Health. Cross et al. A large prospective study of meat consumption and colorectal cancer risk: an investigation of potential mechanisms underlying this association. Cancer Res. 2010 Mar 15;70(6):2406-14. doi: 10.1158/0008-5472.CAN-09-3929. Epub 2010 Mar 9. Stolzenberg-Solomon et al. Meat and meat-mutagen intake and pancreatic cancer risk in the NIH-AARP cohort. Cancer Epidemiol Biomarkers Prev. 2007 Dec;16(12):2664-75. Anderson et al. Meat intake and cooking techniques: associations with pancreatic cancer. Mutat Res. 2002 Sep 30;506-507:225-31. Sinha et al. Meat and meat-related compounds and risk of prostate cancer in a large prospective cohort study in the United States. Am J Epidemiol. 2009 Nov 1;170(9):1165-77. doi: 10.1093/aje/kwp280. Epub 2009 Oct 6. Cross et al. A prospective study of meat and meat mutagens and prostate cancer risk. Cancer Res. 2005 Dec 15;65(24):11779-84. Links between processed meat and colorectal cancer. WHO statement. 2015 Oct 29. Toni Tarver. The Chronic Disease Food Remedy. Food Technology. 2010 Oct.
McCarty MF. A low-fat, whole-food vegan diet, as well as other strategies that down-regulate IGF-I activity, may slow the human aging process. Med Hypotheses. 2003 Jun;60(6):784-92. McCarty et al. The low-methionine content of vegan diets may make methionine restriction feasible as a life extension strategy. Med Hypotheses. 2009 Feb;72(2):125-8. doi: 10.1016/j.mehy.2008.07.044. Epub 2008 Sep 11. Glick-Bauer and Yeh. The Health Advantage of a Vegan Diet: Exploring the Gut Microbiota Connection. Nutrients. 2014 Nov; 6(11): 4822–4838. Le and Sabate. Beyond meatless, the health effects of vegan diets: findings from the Adventist cohorts. Nutrients. 2014 May 27;6(6):2131-47. doi: 10.3390/nu6062131. Fogarty Draper et al. A 48-Hour Vegan Diet Challenge in Healthy Women and Men Induces a BRANCH-Chain Amino Acid Related, Health Associated, Metabolic Signature. Mol Nutr Food Res. 2017 Oct 31. doi: 10.1002/mnfr.201700703. Patel et al. Plant-Based Nutrition: An Essential Component of Cardiovascular Disease Prevention and Management.Curr Cardiol Rep. 2017 Sep 8;19(10):104. doi: 10.1007/s11886-017-0909-z. McMacken and Shah. A plant-based diet for the prevention and treatment of type 2 diabetes. J Geriatr Cardiol. 2017 May;14(5):342-354. doi: 10.11909/j.issn.1671-5411.2017.05.009.